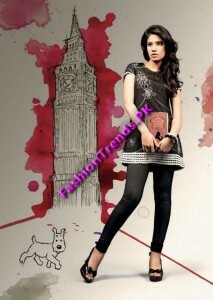 Spring/summer collection 2012 for men and women has been launched by Yellow. Yellow is a famous international brand for clothing. Yellow has launched their first collection in Pakistan for 2012 which includes tee-shirts, jeans, tops, denim, shorts, skirts and much more.